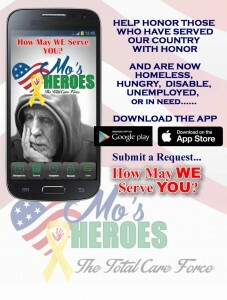 On March 4, 2014, Mo’s Heroes was awarded a $6,000 grant from the Hickam Officers’ Spouses Club (HOSC). Today, the HOSC formally presented the check to Mo’s Heroes CEO and founder, ShaDonna “Mo” McPhaul. 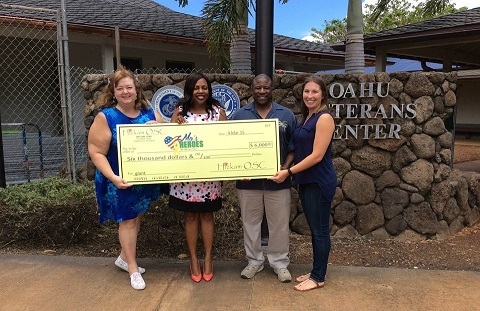 The check presentation took place at the Oahu Veterans Center, 1298 Kukila Street, in Honolulu. Mo’s Heroes is appreciative of the generosity of the Hickam Officers’ Spouses Club and will use that generosity to provide much needed support and services to our military Heroes. The Hickam Officers’ Spouses’ Club (HOSC) has two objectives, to organize social and recreational activities for its members and to support charitable and educational endeavors. HOSC is a non-profit 501 (c) 4 organization located on Joint Base Pearl Harbor-Hickam, Hawaii.